Who are Tutsis and Hutus? 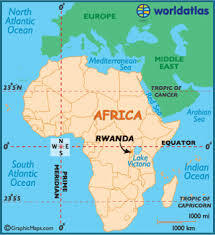 Hutus and Tutsis are both ethnic groups, mostly in Rwanda but also in Burundi, Africa. The Hutu group is the most populated group. At first, Hutus were the poorer and less respected tribe; Tutsis were the minority ruling the Hutus. 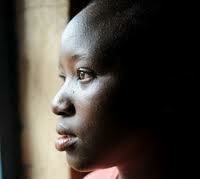 The Tutsi tribe is the second largest, and the Twa, who are the least respected and have the lowest population. When the Belgians came to Central Africa they measured people's noses to decide wether they were Hutu or Tutsi, then they made them carry passports that showed who they were. From there, little by little a social ladder was formed. Twas at the bottom, Tutsis, then Hutus at the top. often Hutus were given more chances and better education. The killers involved in the genocide want to rid Rwanda of Tutsis, and Twas. Hutus thought that they should be superior. Click on the photos to view a video about the background of the genocide. Even though the shooting of the president was a main aspect to the starting of the genocide, before that the Tutsis and the Hutu had many conflicts. But, tension flared after the death of the President of Rwanda when his plane was shot down. The radio spread the news of the plane crash, action took place immediately. Overnight thousands of Hutus turned on their Tutsi neighbors. From friend to foe, leaving Tutsis confused, helpless, and scared by the horrific attacks that occurred near them, and to their families. some days while the murders were hot, you could hear screaming and crying filling your ears. When violence occurred story of massacre started, the long conflict between the Hutu and the Tutsi was driven to far and the Hutu took over in pure manslaughter, with this act of agression came the dealth of way to many and the fear that will never leave their minds and their hearts. The memories of this tragic action haunts many people and it all started with the difference in the tribe you belong to. When people turned into murderers Rwanda was out of control and when it caused millions to die, it needed to be stopped, but here is how it started. Your Nose.